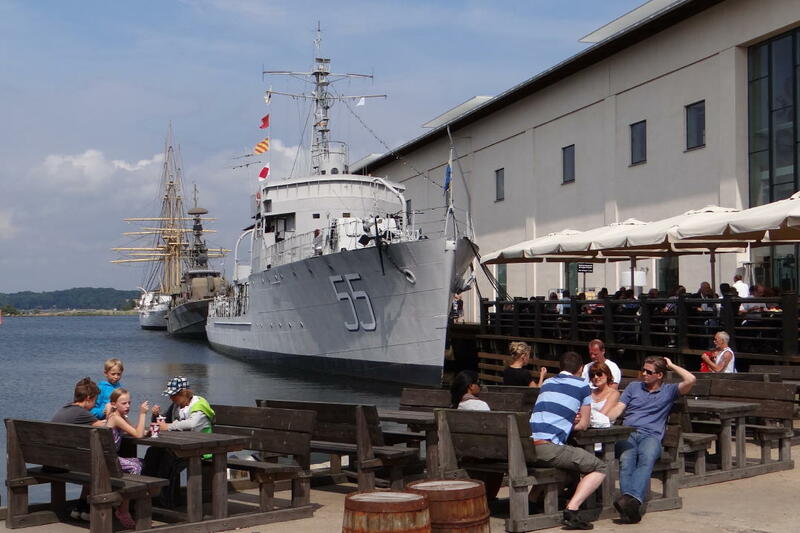 The naval city of Karlskrona in Blekinge was designated a World Heritage site in 1998. 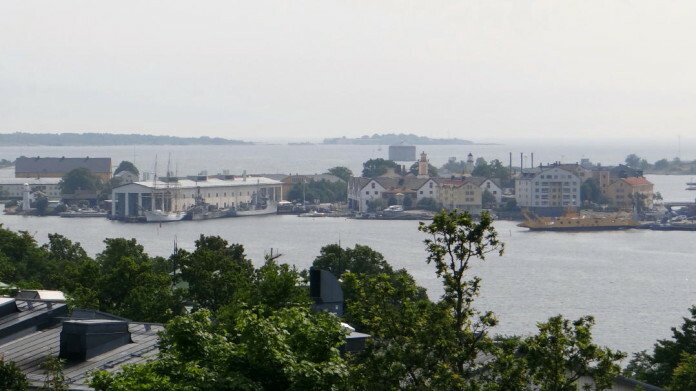 As a result, the naval port and the numerous fortifications as well as the city centre and certain older buildings on the islands of Trossö, Björkholmen and Stumholmen have been protected. Karlskrona was founded by King Karl XI in 1679, after which the permanent base of the Swedish Navy was established here. It is said that at some point there were 10,000 people working in the shipyard and in the Navy. Today, there are only 700. If you want to find out more about the naval history of Karlskrona and Sweden, it is worth visiting the excellent Naval Museum, situated on the island of Stumholmen. Karlskrona does not only give evidence of Sweden’s military past as a great power. 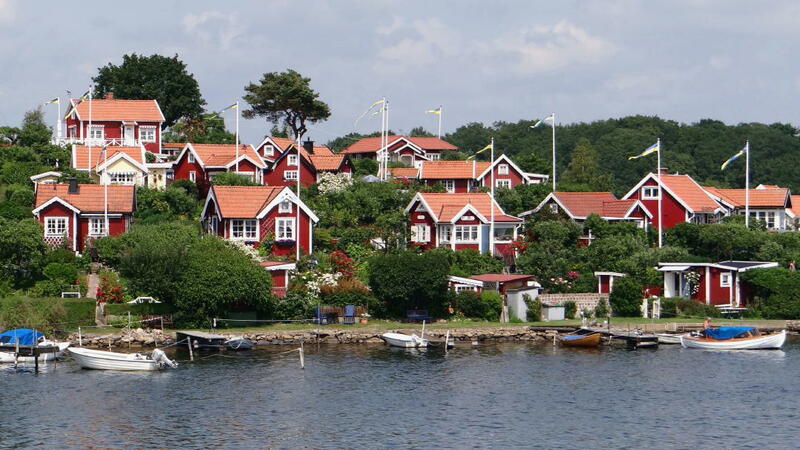 The city is also a bathing resort, Blekinge’s tourist hub and the point of departure for boat tours to Sweden’s southernmost archipelago that is made up of more than 1,500 islands, islets and skerries. You can even go for a dip in the city centre: On Stumholmen, for example, there is a bathing spot directly next to the Naval Museum. Brändaholms Kolonistugor: From the Dragsövägen on the island of Saltö you will get to enjoy an excellent view of the allotments “Brändaholms Kolonistugor” on the opposite side. This is one of the most popular Swedish postcard pictures. Saltö and Björkholmen: In both parts of the old town you can see the small, old wooden houses that the shipyard workers used to live in. Today, these picturesque cottages are protected and they are very expensive. At the Saltötorg there is a smokehouse with restaurant right by the sea. Stortorget with Fredrikskyrkan: Karlskrona’s tourist office can be found behind the church. Below the Stortorget (market square) passes a disused railway tunnel. As a matter of fact, there are many vaults, catacombs und “secret” underground spaces in Karlskrona. All of them had military significance at some point. Nils Holgersson statue by Ralf Borselius: The frequently visited statue “Sprungen ur boken” is located on the Amiralitetskyrka, not far from the Kungsbron and the Bastion Aurora: it shows how Nils Holgersson leaps out of the book by Selma Lagerlöf. The statue portrays Nils in such a small size that he could actually fly along on a goose’s back. The statue has a diameter of only 100cm. 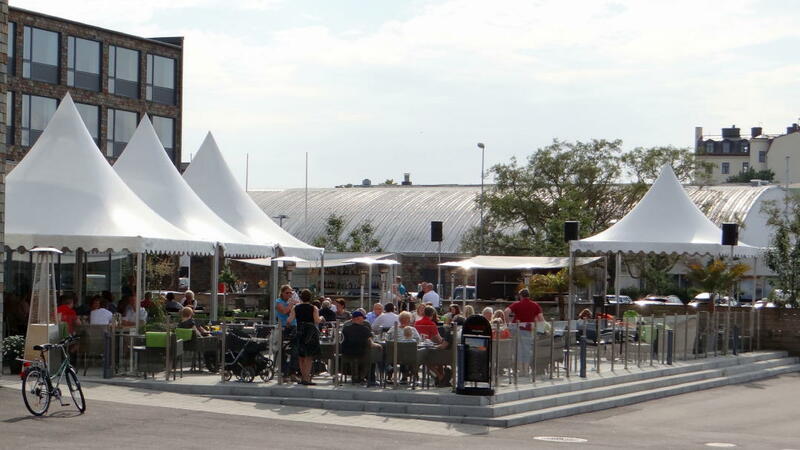 Stakholmen: The little island is situated directly in front of the new Scandic Hotel at the Fisktorget. Stakholmen is a popular picnic spot close to the city and a perfect place to enjoy the summer evening sun. – In summer, boat tours to the archipelago depart from the jetty at the Fisktorget. Here you will also find a kiosk that provides brochures and information about the archipelago. Bryggareberget (water tower, “Utkiken Karlskrona”): From up here you can see the entire city centre and, on a clear day, the archipelago – see our picture on the top of this page. On the hill, there is also a café and restaurant with a really nice outdoor terrace. If you are going by car, you can drive all the way to the top. The hill is situated northeast of the city centre. Wämöparken: Wämöparken is a cultural, nature and amusement park with old houses and a mini zoo. It is sometimes called “Blekinge’s Skansen” after its model, the open-air museum Skansen in Stockholm. In the park, there is a café where you can also get a light lunch. The park is located just outside the city by the Österleden, toward the northeast. Four large islands in Karlskrona’s archipelago are accessible by car as they are connected to the mainland via bridges: Hasslö in the west, and Senoren, Sturkö and Tjurkö in the east. 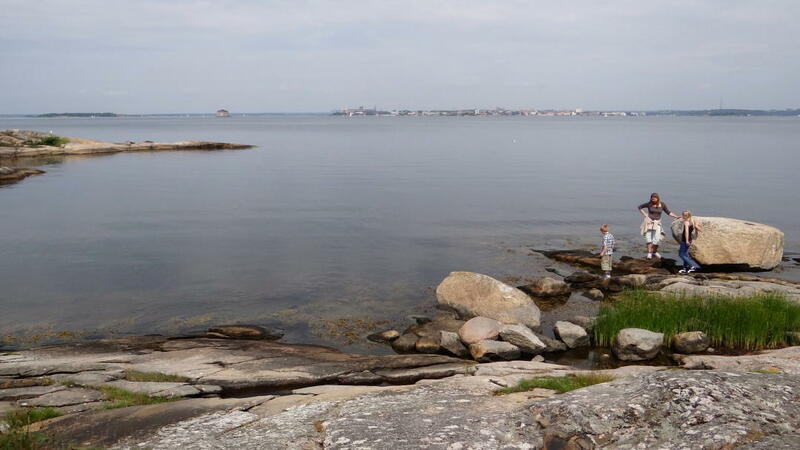 From Herrgårdsviken (jetty) and Hägnaviken (camping site and bathing spot), both on Tjurkö, you can enjoy fine views of the water and of Karlskrona in the distance. Aspö Island is situated between Hasslö and Tjurkö; you can get there on a car ferry, which runs between Karlskrona and Aspö and is free of charge. In the city centre (on the island of Trossö), you will find a wide variety of shopping facilities. Alongside speciality shops and boutiques, there is the fashion house “Kronan”, which also has a car park. The shopping center “Amiralen” north of the city has more than twenty shops and supermarkets. It is located near to the E22, which passes Blekinge in west-east direction. Karlskrona is a significant historic site. You can spend your whole holiday here without running out of ideas for visits and tours. If you want to take it easy, you can simply lie on the beach and look over the water. The conditions for a beach holiday in Karlskrona are so good because the coast here is often blessed with good weather. Because of its many hours of sunshine, the little island of Hasslö is jokingly referred to as “lilla Hawaii”, little Hawaii.